As the semester settles in, so does the schoolwork. 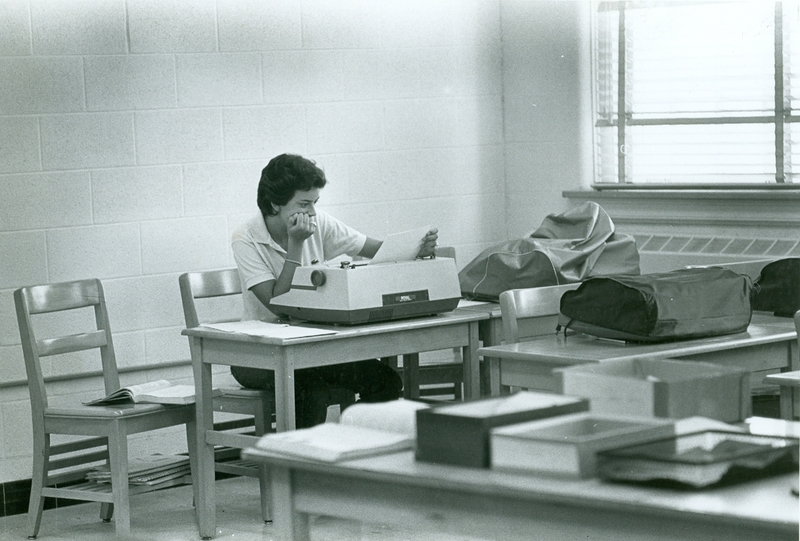 This unidentified student works on a term paper. Don’t you just love the IBM Selectrics??? hope students today realize how lucky they are with laptops and spell-check….